I’m never sure what to expect from readings. Sometimes no one shows up. Sometimes a couple of people are there by accident. Sometimes you get a crowd. Last night was on the crowd side, I’m happy to report, although the crowd was made up entirely of people I knew, which was kind of amusing. Not a single complete stranger. They were all there because they received an email from me or got my Facebook invitation. The store did publicity and there was a notice in the Washington Post, but in the end it was my own outreach that created the audience. Lesson [re]learned. It was quite a mixed audience, too. I’m active in Northwestern University Alumni activities, and there were three NU people there. I went to grad school at Harvard and one of my classmates was there. A fellow Queens University of Charlotte MFA graduate was there, also: a couple of people I’d met at the Sewanee Writers Conference; someone I know from the Virginia Writers Club; someone I know from the Peace Corps; some I met at VCCA; someone I know from Facebook but had met for the first time at AWP last month. A couple of friends from my Singapore days! Since I knew everyone, I didn’t have to say much about myself, although the store representative gave an embarrassingly long intro. I talked a little about how my two books came about, and then I read the opening pages of “The Replacement Wife,” one of my favorites to read because there are a couple of good “cliffhanger” spots where I can stop. Then there were lots of questions, which kind of surprised me. But eventually the store wanted to wrap things up and they said it was time for me to sign some books. Which I did. Great fun all around. 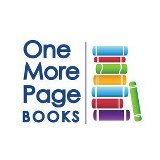 Thanks to Terry, Sally, Lisa, and everyone at One More Page Books, plus all my friends who came out last night.